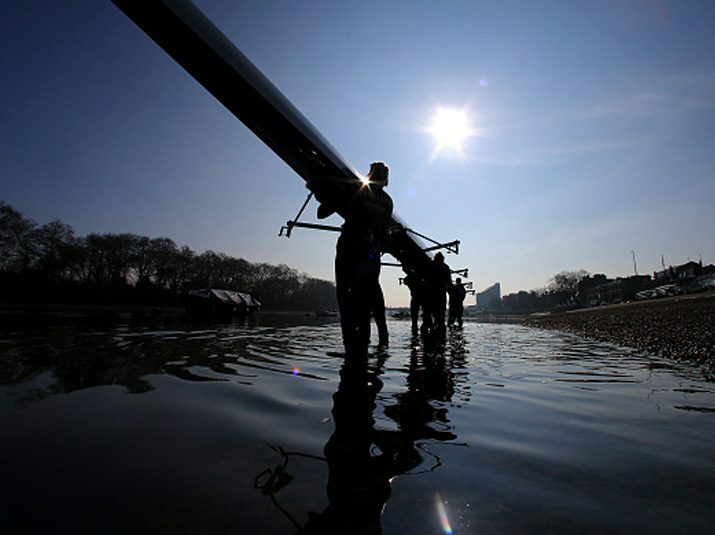 Cambridge stole an early march on their rivals from Oxford by recording a series of impressive results at the Fours Head of the River. Stand-out performances came from top-ranked crews from the Light Blue Men’s and Women’s squads, as they both won their respective categories. Cambridge University Women’s Boat Club entered six crews, finishing first, fifth, sixth and twelfth in Band 1 Women’s Coxed Fours. The leading crew, containing President Daphne Martschenko, finished four seconds ahead of Leander Club to win the category but crucially defeated Oxford by 22 seconds. Meanwhile, their coxless fours finished third and sixth in Band 1 Women’s Coxless Fours to solidify an excellent morning of racing and ideal preparation ahead of a busy schedule in the run-up to The Boat Race. Meanwhile, Cambridge University Men’s Boat Club began their season in fine form by winning Band 1 Men’s Coxed Fours. Their top crew, coxed by President Hugo Ramambason and stroked by returning Blue Freddie Davidson, beat Oxford into second place by 13 seconds. However, their time of 18 minutes and 32 seconds also saw off Oxford’s fastest coxless four by a second. The Light Blues were also able to demonstrate their strength in depth as their second and third ranked coxed crews finishing third and fourth in the same category. Oxford University Men’s Boat Club had five crews out on the water, and their top coxless crew finished second in Band 1 Coxless Fours. Their second coxed four raced for Time Only but would have placed sixth in Band 1 Coxed Fours. Oxford University Women’s Boat Club only had two representative crews, both of whom raced in the Band 1 Women’s Coxed Fours won by Cambridge. Their crews finished fourth and ninth, the former of which contained President Katherine Erickson and returning Blue Alice Roberts. With the Presidents’ Challenge and Fours Head of the River now consigned to the past, all four squads will be pressing on towards Trial Eights.